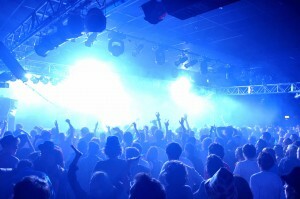 You are here: Home / news / Laurent Garnier to close Bloc 2011 with full live show! Yet another massive addition to the lineup for what is already set to be one of the key music events of 2011, Laurent Garnier will be joining the Bloc line up to present: LBS – live, featuring Laurent Garnier, Scan X and Benjamin Rippert, and they have the honour of seeing out Bloc. 2011 on the main stage. Bloc’s closing parties have always been a bit special. Whether celebrating 20 years of acid house with Phuture 303 and Ben Sims in 2008, Carl Craig nailing the party to the wall in 2009 or Derrick May’s unforgettable end to Bloc. 2010 – When it comes to Sunday at Bloc night you know you’ll be carried away by a megastar you can rely on. Shine Closing Party- Mathew Dear. For the first time ever, Bloc. has invited a collaborator to programme the final day on the main stage. Belfast techno institution Shine will be doing it in the way only they know how: fielding the veritable talents of Matthew Dear to support LBS live. Shine is a heavyweight techno institution from Belfast, and in its esteemed 15 year history has hosted everyone from Sven Vath to Aphex Twin via Richie Hawtin and Ricardo Villolobos. And this March Bloc. welcomes their storming Belfast vibe to Minehead for the first time. All tickets include four nights private accommodation, access to all Bloc arenas and all of the resort’s facilities – including the water park. New Club which promises to deliver underground beats set to open in Ibiza.